Eventing champion Theodore O'Connor, the little horse with the big heart, is dead. The United States Equestrian Federation (USEF) has announced that Teddy, as he was known, was euthanized as a result of an injury in an accident at Karen and David O'Connor's barn at The Plains, Virginia. The O'Connors, in a brief statement, said: "Teddy got frightened and bolted. He slipped running back to the barn and suffered a severe laceration to his hind leg, severing the tendons and ligaments. "Doctor A Kent Allen was on the scene immediately and it was determined after examination that the injuries were catastrophic. "Everyone who knew Teddy is devastated." Teddy was a hot propect to attend the Olympics. The 13-year-old eventing super pony had defied the odds and gravity throughout his career. 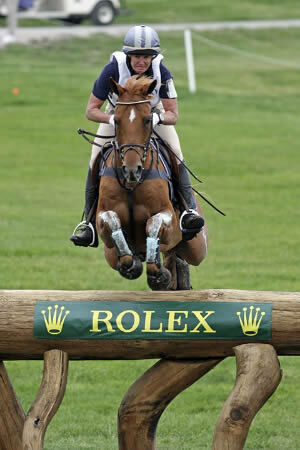 Standing at just 14.1 hands, the Shetland/ Arabian/ Thoroughbred-cross gelding was the reigning Team and Individual Gold Medalist from the 2007 Pan American Games and had top-six finishes at the Rolex Kentucky Three-Day Event in 2007 and 2008. He was the 2007 USEF Horse of the Year and had recently been named to the USEF Short List for Eventing for the 2008 Olympic Games. Ridden by three-times Olympic veteran Karen O'Connor, Teddy developed a huge fan base. "Seeing was believing with Teddy as it seemed impossible to imagine that a pony of his size could do his job with such tremendous ease," the USEF said. "Thoughts and prayers are with Karen and David, Teddy's groom Max Corcoran, his breeder and original owner P Wynn Norman, the rest of his owners in the Theodore O'Connor Syndicate and everyone associated with this remarkable pony." Teddy's fame has not only been limited to the eventing circuit. He joined the 2008 lineup of Breyer horse models and recently made his way on to a well-known brand of US feed. 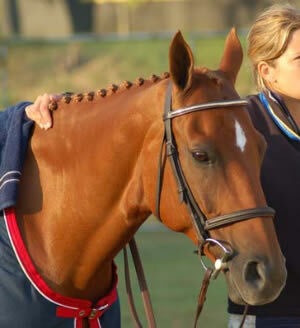 The O'Connors lost another top horse earlier this month, Tigger Too, in a cross-country accident at a three-star event.